It cost a whopping $1.50. 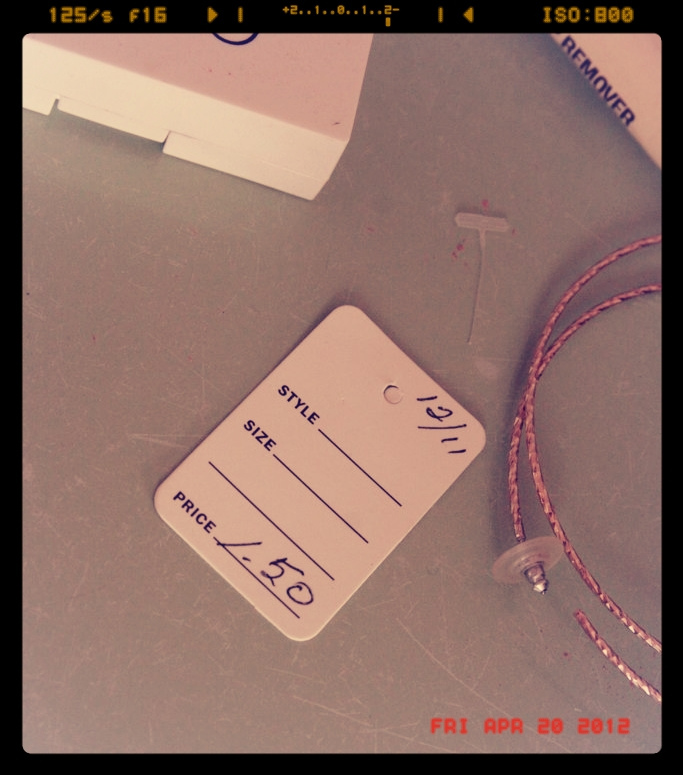 How a dress from fancy pants Neiman Marcus wound up in little ole Iron River (population 1,059) is a bit beyond me. 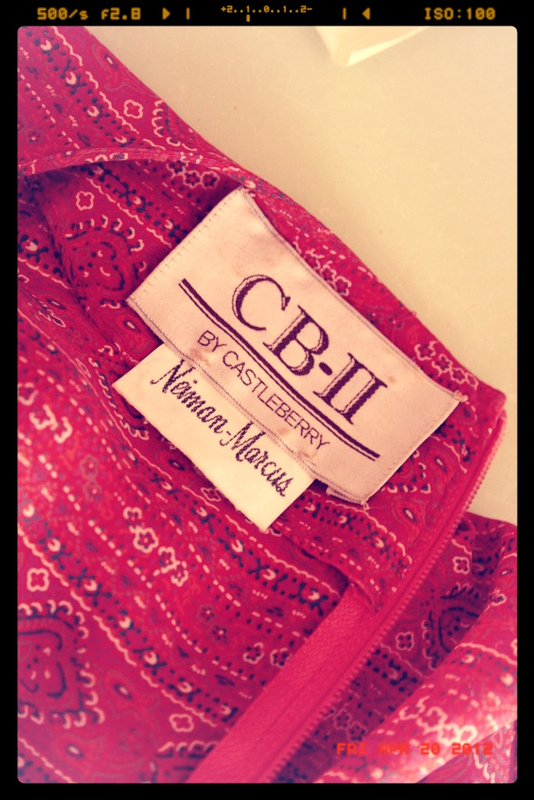 A little digging led me to discover that CB II by Castleberry was an ’80s trademark owned by Leslie Fay Inc., a label you’ll see often at thrifts. Unlike Neiman Marcus. What I love about this dress…the way the pattern switches from horizontal to vertical and then back to horizontal (is there a fashion-y word to describe this? If so, I don’t know what that word is! ), the cinched 3/4-length sleeves and the sash-y belt at the waist. 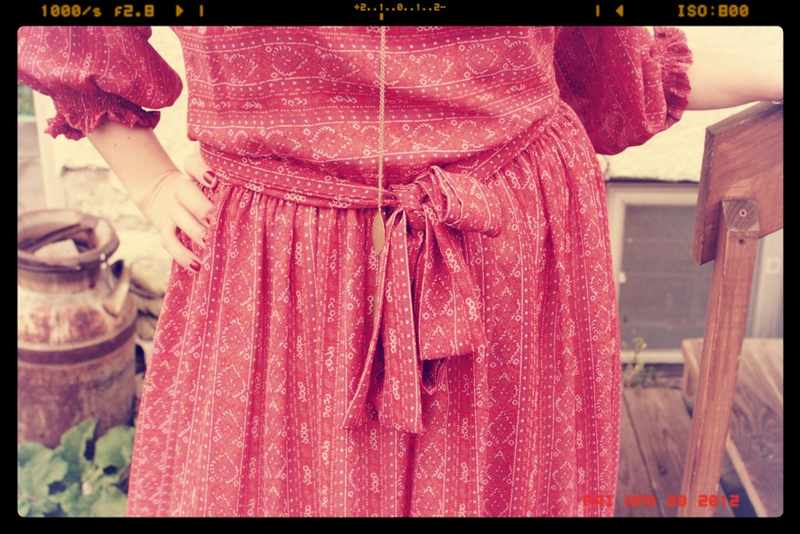 It’s always a bonus when you score a cute dress with the original matching belt. It’s like a mound of Cool Whip on top of a blueberry pie á la mode. Pie + ice cream = great, but pie + ice cream + Cool Whip = even greater. Same with vintage dresses and their matching belts. P.S. If you like this dress, I found a similar one, also by CB II, on Etsy. 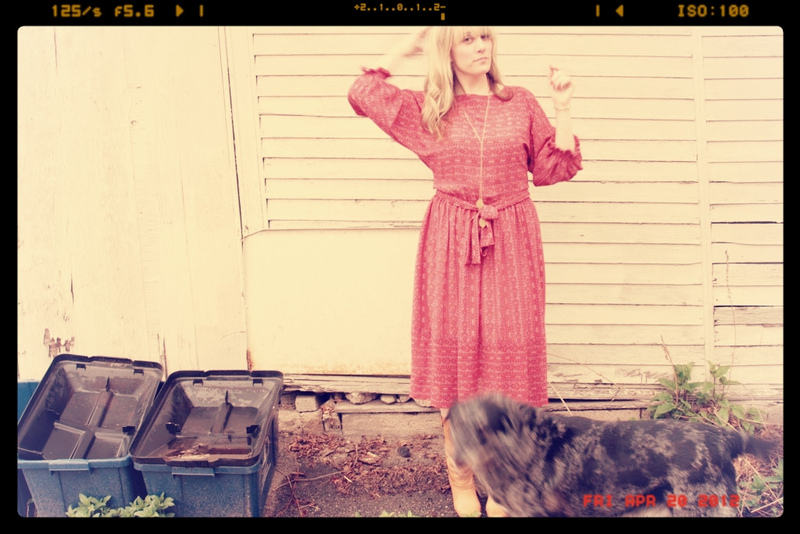 This entry was posted in Uncategorized and tagged cb II by castleberry, family, iron river, leslie fay inc., thrift-store shopping, thrifting, vintage dress, wisconsin by highplainsthrifter. Bookmark the permalink. Lovely! Such a nice rasberry colour.